8200VAZ is a fully integrated device. It integrates many WANs (4G/LTE, VDSL2/ADSL2+, Giga EWAN), LAN (Giga Ethernet switch, dual band wireless 11ac and 11n), USB and FXS technologies. Besides, the software provides failover/fallback to secure the data traffic, VDSL super-vectoring v35b profile to reach up to 300Mbps in downstream, load balance to maximum bandwidth usage in multiple WAN interfaces, dual APNs in single 4G/LTE link and various VPN technologies (IPSec/ L2TP/ PPTP/ OpenVPN/ GRE/…). A FXS port and VoIP SIP are supported which can provide such as call forwarding, call transmission, call waiting, three-way teleconference and etc. added on voice services. User can easily have triple play service (data, video and voice) from the Internet via connecting PCs, smartphones/Pads, phone and etc. to 8200VAZ. 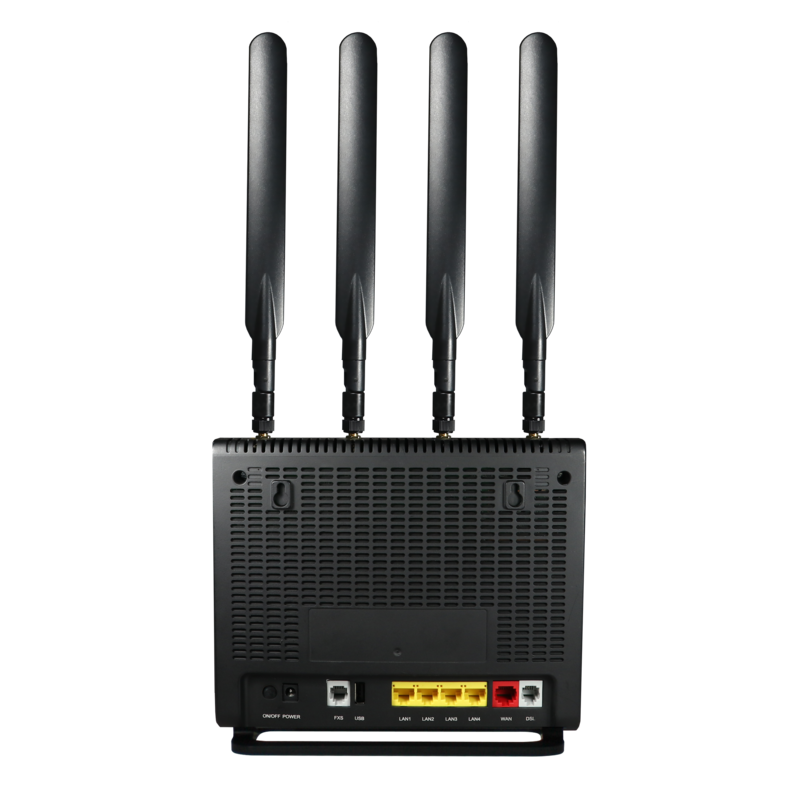 The BiPAC 8200VAZ provides three different types of WAN interfaces (4G/LTE, VDSL2/ADSL2+ or EWAN). 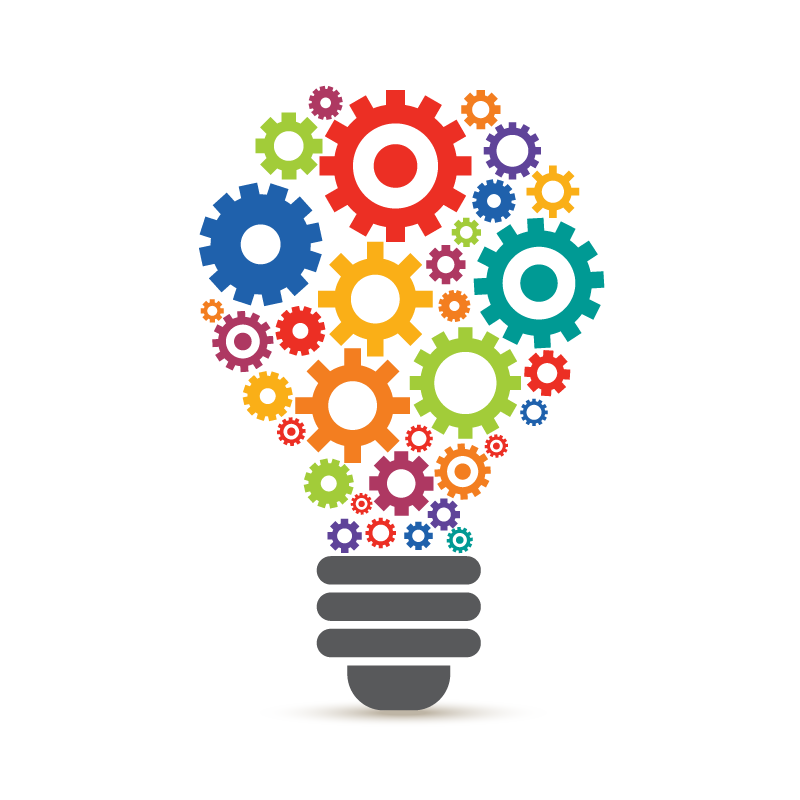 This design allows this device to be very flexible to adapt to various ISPs. It supports automatic failover/fallback functionality among WAN interfaces to provide an always-on internet connectivity and secure data transmission for applications with high data sensitivity including POS machine, ATM, and Kiosk. Once it connects to two WAN interfaces simultaneously (ex. LTE (CAT4) with 150Mbps downstream and VDSL2 v35b with 300Mbps downstream), user could enable the load balance feature to maximize the bandwidth usage, up to 450Mbps. 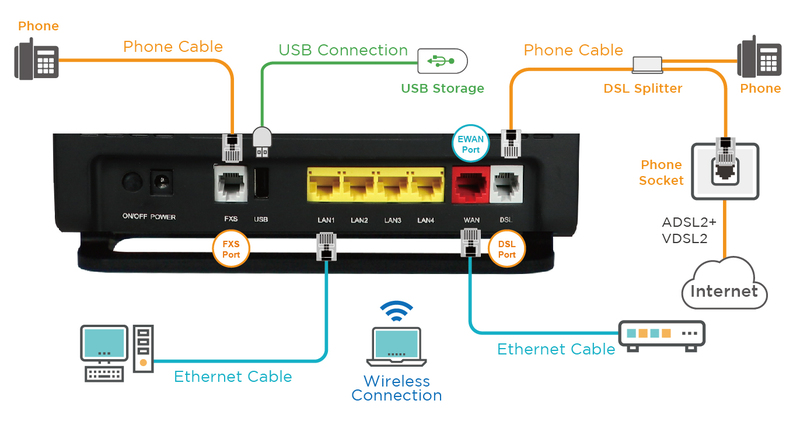 It is a cutting-edge networking product for SOHO and office users. 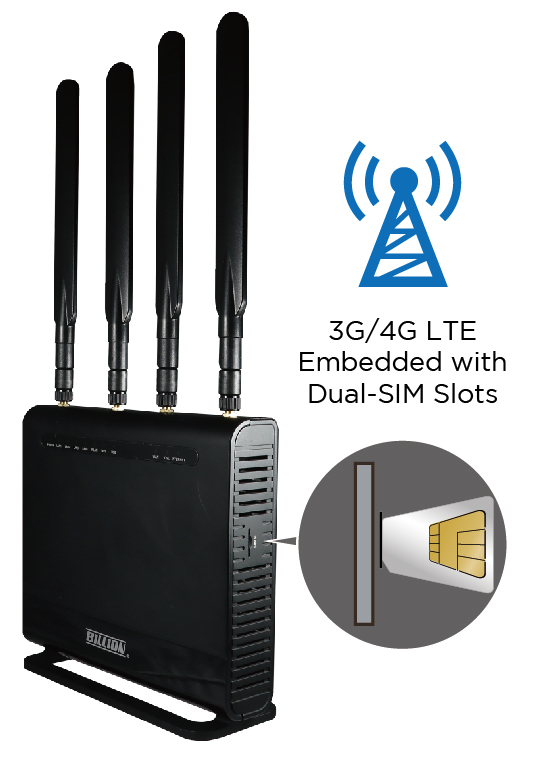 Uniquely, the router allows user to directly insert 4G/LTE SIM card into its built-in SIM slot instead of requiring external 4G/LTE USB dongles. This design will avoid the compatibility issues of many different 4G/LTE USB dongles. 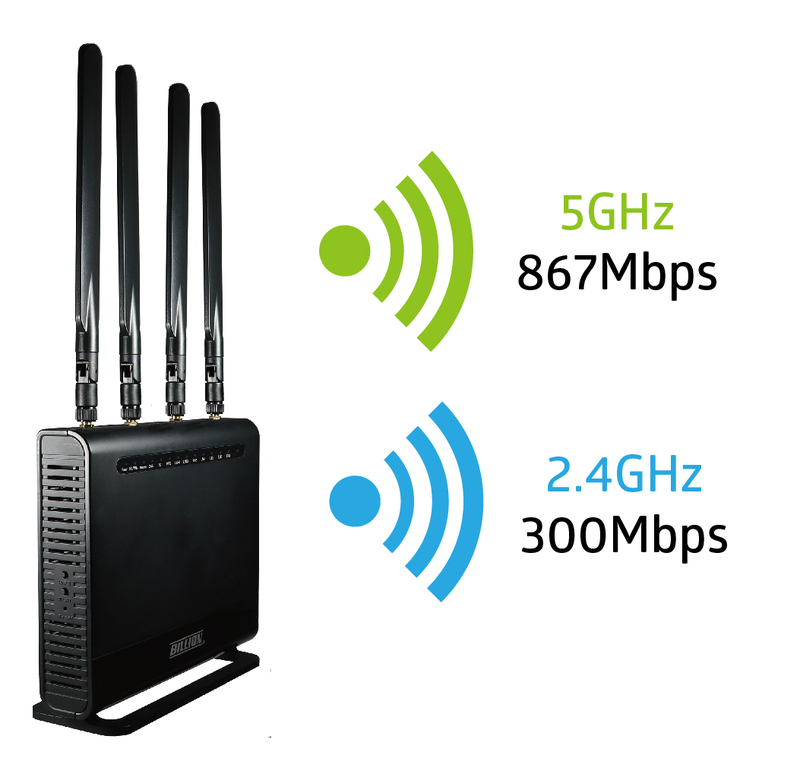 With the increasing popularity of the 4G/LTE mobile network, communication via the BiPAC 8200VAZ is becoming more convenient and widely available-enabling users to use 4G/LTE or UMTS Internet connection, making downstream rates of up to 150Mbps (LTE CAT4) possible. Users can watch movies, download music or access e-mail wherever a 4G/LTE connection is available. 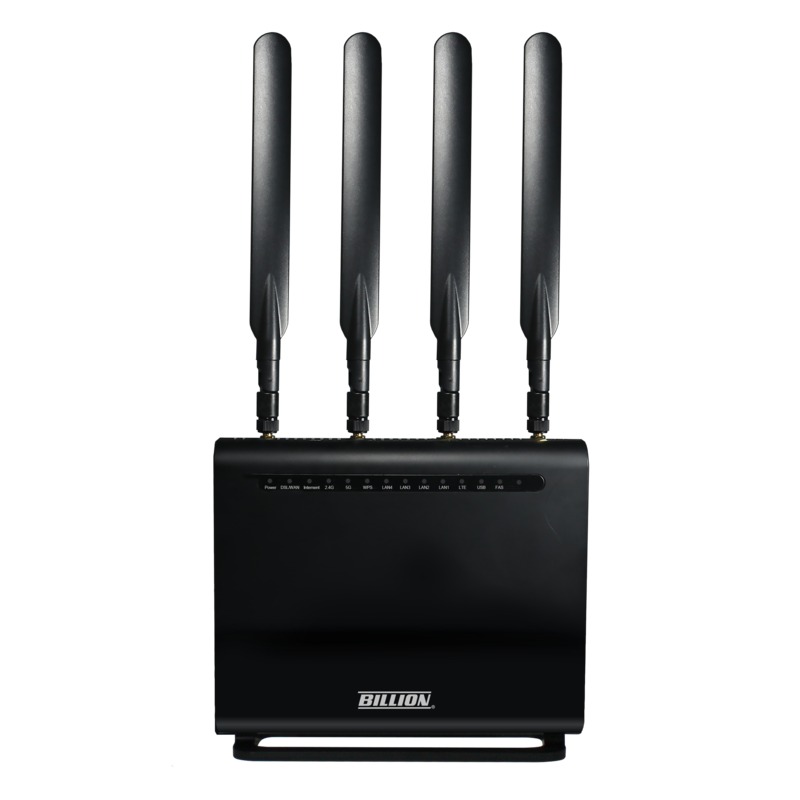 Featured with simultaneous dual-band technology, the BiPAC 8200VAZ can run both 2.4GHz and 5GHz frequency bands at the same time, offering ultra-fast wireless speeds of up to 867Mbps (5GHz) and 300Mbps (2.4GHz), and SSIDs on both bands. For advanced users, you can develop, add or modify the device’s firmware, an open source (OpenWrt) is supported to suit your needs. 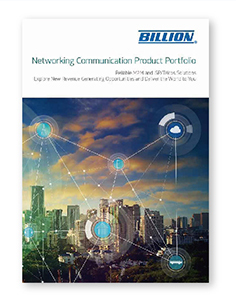 “The communication technology of LAN and WAN continues to upgrade and update to meet wider coverage, lower latency and more capacity. BiPAC 8200VAZ is an integrated router to comply with the communication trend at a lower cost. I believe that through the layout of our routers will not only enhance the scope and functionality of network services but also increase long-term revenue.” Said Ben Chen, the Director of Products of Billion Electric Corp.
Billion is a leading global provider of ICT solutions. 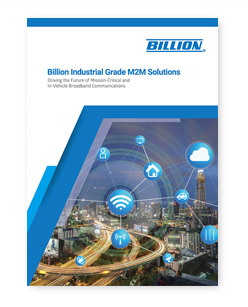 Billion is committed to acting as responsible corporate citizens, innovative enablers for the information society, and collaborative contributors to the industry by through creating maximum value for global telecom operators.